The Grapefruit diet started way back in the 1930s, though back then it was called the Hollywood Diet. This diet is still very popular today and many people swear by it for fast weight loss. This diet claims that the grapefruit contains special fat-burning enzymes that become active when the fruit is eaten along with a small portion of other foods at each and every meal. 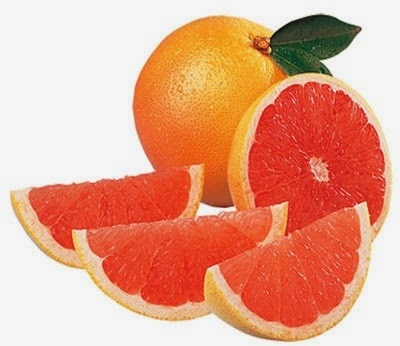 For years medical professionals and nutritionists have said this was hype, that the grapefruit has no fat burning capability and that this was just another fad diet plan, like so many others on the market. Today many medical experts still state that there is no evidence that the grapefruit is a magic bullet for weight loss, in fact Connie Diekman of the American Dietetic Association has stated that these types of diets perpetuate yo yo dieting, which, is on again and off again dieting, and a misunderstanding of what it means to lose weight in a healthy manner and on a permanent basis. While the grapefruit diet has been downed by experts, not everyone agrees. The fact is that the citrus in grapefruit improves insulin levels and therefore lessens hunger. This fruit is also low in calories, satisfies hunger and is really a beneficial addition to any healthy meal plan. Researchers at Scripps Clinic determined that grapefruit did help with weight loss because participants who ate half a grapefruit with each meal in a 12 week study lost an average of 3.8 pounds. NOTE: There are some medications that can have adverse effects with grapefruit, check with your doctor. You must eat grapefruit at every meal. You have the choice of eating 1/2 a grapefruit or drinking 8 ounces of unsweetened grapefruit juice. The grapefruit diet does not permit complex carbs (pasta, corn, potatoes, breads), but most vegetables are allowed and with butter. Drink eight 8-ounce glasses of water per day. Eat 1/2 fresh grapefruit at each meal or drink 8 ounces of unsweetened grapefruit juice. Maximum of 1 cup of coffee per day because caffeine affects insulin balance that prohibits the fat burning process. No snacking between meals, and stick to exact meal times. Eat liberally until full and satisfied. Eat as much as you want of meats, salads and vegetables. Do not eliminate anything from the strict diet plan. Make sure to eat the bacon at breakfast and the salads as this eating plan is designed to burn fat. Generous amounts of butter, salad dressing as well as meat and fish cooked in any manner is fine. Exercise is not a good idea because the calorie limit is so low. This diet plan should only be used for 12 days at a time. Take at least a 2 to 3 day break should you want to continue on with the plan after 12 days. Eat grapefruit at each and every meal. Absolutely no complex carbs are allowed, sugar, pasta, bread, potatoes, etc. Most vegetables are encouraged and should be prepared with lots of butter. Use salad dressing as you wish and prepare meats and fish in any manner, including fried. The only snack allowed is the one after dinner, at bedtime. Follow this plan for 12 days at a time only. 8 oz. glass of tomato juice or 8 oz. cup of skim milk.